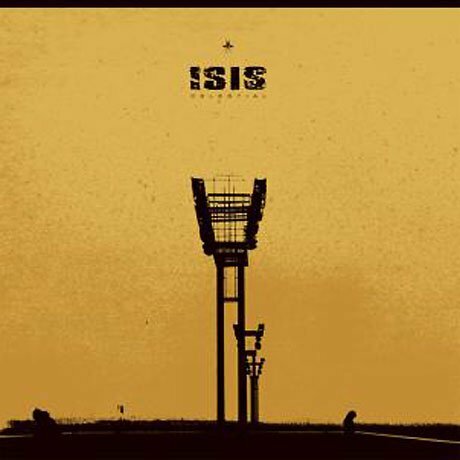 While ambitious post-metal greats Isis called it quits in 2010, the band have steadily been releasing records in the afterlife. Last year, they offered up their rarities set Temporal, and now they're prepping a vinyl reissue of their debut full-length, Celestial. Originally pressed by the now-defunct Escape Artist Records in 2000, the upcoming repress of the double-LP drops July 9 through Robotic Empire. A press release explains that the album has been out of print on vinyl for years and has now been remastered by James Plotkin. The tweaked-up edition of Celestial also features "fully re-imagined" artwork (see above) from guitarist/vocalist Aaron Turner and comes "housed in a gatefold jacket with printed inner sleeves containing flood-black interior printing." The full-length came in the wake of the group's demo, as well as the Mosquito Control and The Red Sea EPs. This was the group's first studio collaboration with producer Matt Bayles (Mastodon, Botch), who would go on to record 2002's Oceanic, 2004's Panopticon and 2006's In the Absence of Truth. At the time, Exclaim! described Celestial as being "as enigmatic as the Sphinx's riddle, as veiled as the Nile's source and as shifting as the Egyptian sands." You can sample the set's pseudo title track "Celestial (The Tower)," which jumps from crushing doom grooves to more psychedelic territories, down below.